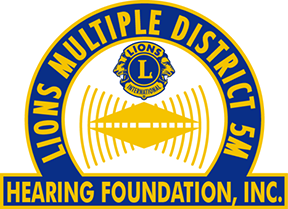 The Lions Multiple District 5M Hearing Foundation was founded in 1973 to promote to the fullest extent the advance of research and programs concerned with hearing health and communication disorders. Further, it was founded to provide assistance with the organization and administration of these activities throughout the Lions Multiple District 5M, which encompasses Minnesota, Manitoba, and Western Ontario. The pages on this website show the tremendous contributions made by the Lions Multiple District 5M Hearing Foundation through its partnership with the University of Minnesota and its passionate, dedicated staff. Our clinic is in Minneapolis, Minnesota. Your donation can realize the gift of hearing. I am just as deaf as I am blind. The problems of deafness are deeper and more complex, if not more important, than those of blindness. Deafness is a much worse misfortune for it means the loss of the most vital stimulus — the sound of the voice that brings language, sets thoughts astir and keeps the intellectual company of man. Thank you for visiting our website. Please contact us to request more information, or to provide feedback about our website.